Full bungalow with a privileged view !!! Property 1: Full bungalow with a privileged view !!! 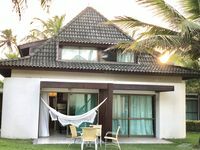 Property 6: Beachfront bungalow; Beach front Muro Alto; Porto de Galinhas; Private pool. BUNGALOW BEACH CLASS WALL HIGH / HOSPITAL WITH VIEWS TO SEA AND SWIMMING POOL. Property 9: BUNGALOW BEACH CLASS WALL HIGH / HOSPITAL WITH VIEWS TO SEA AND SWIMMING POOL. EXCLUSIVE BUNGALOW IN RESORT THE SEAFRONT ON THE BEACH OF MURO ALTO. Property 22: EXCLUSIVE BUNGALOW IN RESORT THE SEAFRONT ON THE BEACH OF MURO ALTO. Luxurious bungalow by the sea with private pool. Property 26: Luxurious bungalow by the sea with private pool. Experi&ecirc;ncia incr&iacute;vel, bangal&ocirc; acima das expectativas.